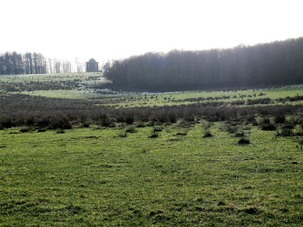 Rush Pasture sites in Barnsley are small, localised and fragmented. Locally Rush Pasture is important especially for the nesting and foraging waders such as Curlew, Lapwing and Snipe. Agricultural intensification and increases in stocking densities have resulted in a significant loss of this habitat and decline in the populations of Lapwing, Curlew and Snipe. Rush pasture habitat is lost through agricultural improvements such as drainage, liming, nutrient enrichment and reseeding. Over-grazing, compaction due to overstocking and heavy use, allows other plant species and scrub development to take over. A lack of grazing leads to rankness and scrub encroachment and lack of management can lead to dense rush taking over. There can also be pollution from agricultural or other runoff. Where rush pasture exists within SCA /SPA or SSSI designated areas and is included in their designation, it has legal protection, a presumption against change of use and support for its conservation. Sites identified as Local Wildlife Sites have a presumption against planning permission for development or change of use. However they have no protection against operations that do not require planning permission or change of use authorisation. 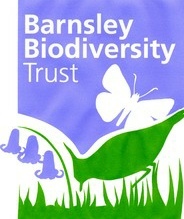 Agricultural work where protected species are present may commit offences under the Wildlife and Countryside Act, 1981. Licences may be needed from Natural England. Protected species include all breeding birds including in this context waders. Maintaining damp conditions and avoiding drainage /drying out; maintaining rush pasture as part of a mosaic of habitat types. Ensuring appropriate cover of rushes for breeding waders; where tussocks are very sparse not enough cover is available for nesting. This usually involves using light cattle grazing. Maintaining open grassy areas. Where rushes become too widespread, open areas needed for feeding and foraging are lost. Swards are sometimes ‘topped’ in late July after chicks have fledged to help prevent the spread of rushes. Scrub invasion should be prevented wherever possible. Natural England Guidance advocates an average grass height of 7 and 8cm for rush during April and May, increasing to 10 and 13cm in June to October, a quarter of the sward no more than 15cm for grass and 40cm for rushes - a diverse sward of shorter areas interspersed by taller tussocks. Areas of dense litter should be less than 25% of the total area in October.